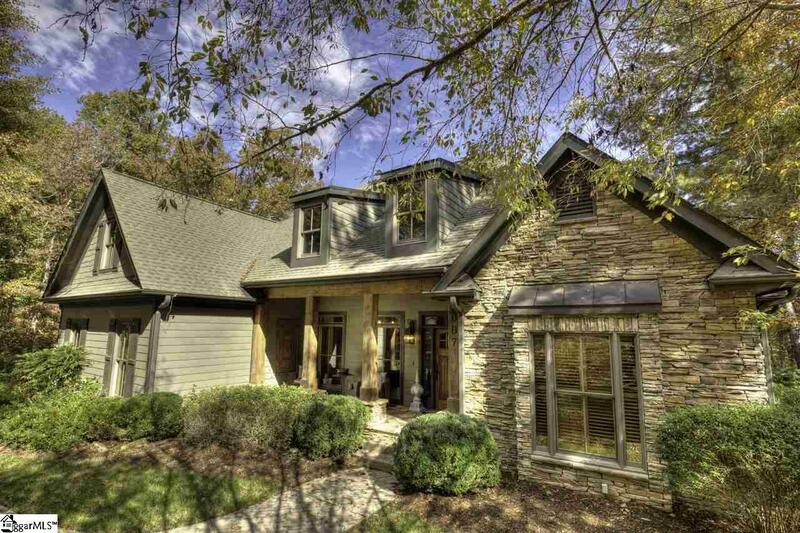 Located along the shore of sparkling Lake Keowee in the amenity-rich community of The Cliffs at Keowee Vineyards, 607 Wind Flower Drive strikes a perfect balance in many ways. 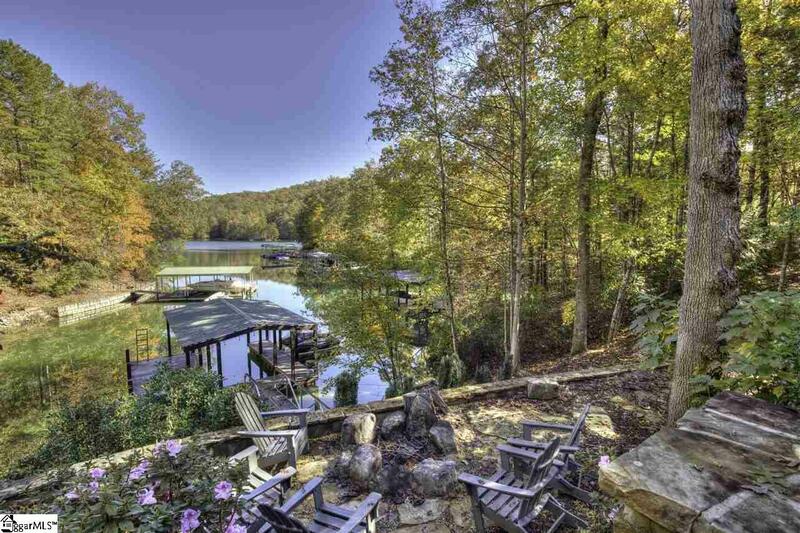 It sits on a rise thats high enough to offer enhanced lake views, but the walk to the water is short and easy. The residence exudes a cozy ambience that suits a weekend for two, yet it provides abundant space for holidays with the grandkids and more. 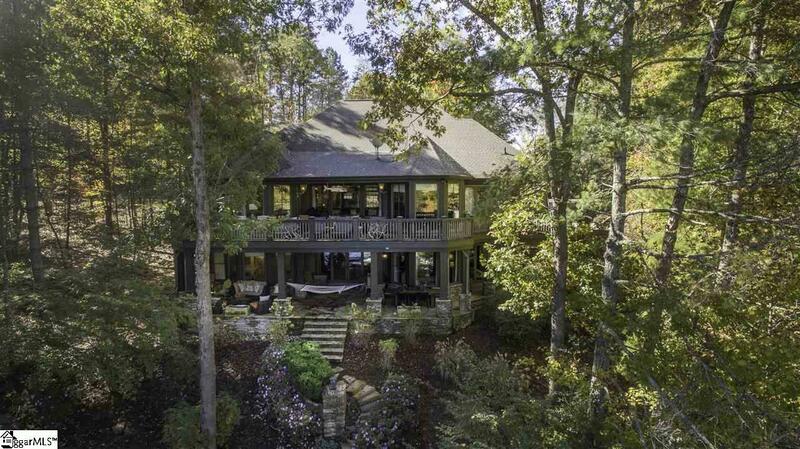 Mountain/lake stylefound in heavy cedar columns, liberal stacked stone, and laurel-accented deck railingsblends with traditional elements like a hip roof. Taken together, the homes many features create a wonderfully harmonious waterfront retreat. On the main level, the house opens to a great room with broad stone fireplace and rows of windows. The dining areas double tray ceiling is highlighted with stained wood trim and rustic statement lighting. In the kitchen, Wolf and Sub-Zero appliances mingle with a copper farmhouse sink, bar seating, and adjacent window-lined breakfast area. The master bedroom, occupying the right wing of the main floor, has a sitting area tucked into a lakeside bay window along with access to the rear porch. Its en suite indulges with a multi-jet shower and footed tub, which is artfully situated in front of a wide window for the refreshing impression of bathing outdoors. On the opposite end of the main level, two bedrooms share a large bath. Stairs just off the foyer lead to the lower level. The common area includes a family room with fireplace and built-in cabinets, as well as a sizable kitchenette with wrap-around bar that can seat a crowd. A finished storage room might serve as a walk-in pantry or even outfitted as a small office space. Two lower-level guest suites both open to the outside. One is of master proportions (its currently home to nine bunk beds) and has both a shower and jetted tub in its en suite. Plentiful unfinished storage with outdoor access means every lake toy has its place. While the homes interior is entirely pleasing, the location is all about the lake (and walking distance proximity to the Vineyards clubhouse and golf course). Outdoor spaces capitalize on the environment -- a main level deck spans the rear of the house and incorporates both covered and uncovered areas. A lower-level stone terrace is protected by an under-deck drainage system above. Stone steps traverse to a fire pit atop a lovely stone retaining wall and meander to the shoreline beyond. The covered dock sits in deep water at the end of a placid cove. 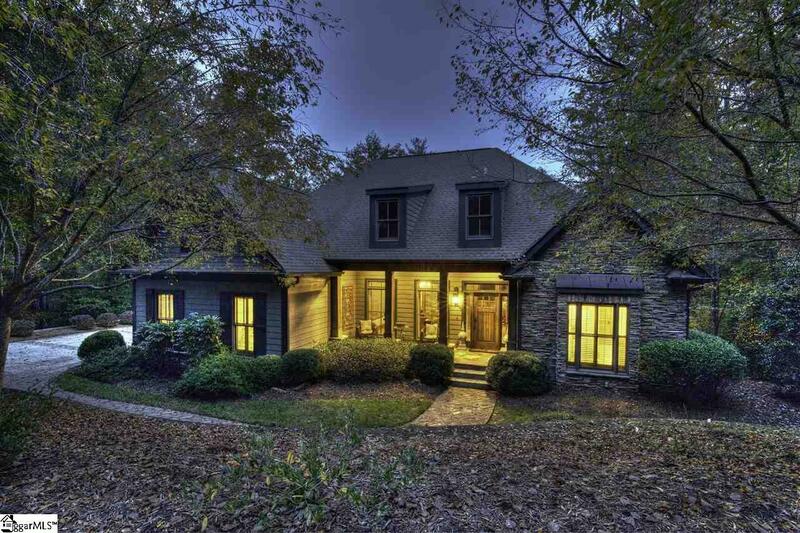 Coupled with The Cliffs at Keowee Vineyards many amenitiesTom Fazio golf course, clubhouse with fine and casual dining, full service marina with ship store, equestrian center, pool complex, waterfront wellness facility, and more607 Wind Flower Drive is a not-to-be-missed lakefront gem.